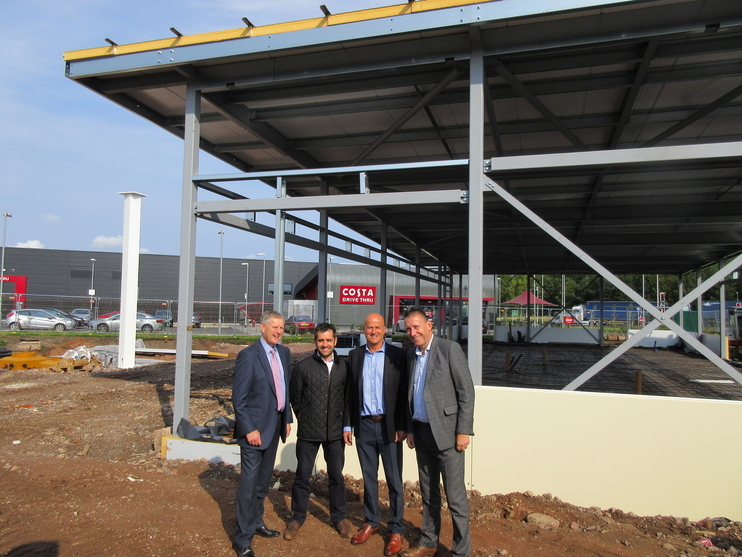 A new garage with a roadside store is creating approximately 45 permanent jobs next to Jaguar Land Rover’s i54 engine plant near Wolverhampton, in a deal sealed by Bulleys. The leading commercial property specialist has attracted Euro Garages to the 0.4-acre site at The Gateway on Junction 2 of the M54 where it will develop a new petrol filling station and convenience store. Noel Muscutt, a partner at Bulleys, said: “We’re delighted to have struck such a ground-breaking structure of a deal with Euro Garages, a premium operator in the roadside sector. Phil Bartleet, acquisitions surveyor at Euro Garages, said: “This is exactly the kind of opportunity which Euro Garages like to develop, with plenty of passing traffic, nearby businesses and space. “This EG development will be a destination for commuters and local residents to fill-up their tanks, make convenience purchases and enjoy our extensive Food to Go range.